The Ace Attorney series is a set of video games, members of a genre called visual novels. A visual novel is sort of like the old choose-your-own-adventure books or, more directly, adventure games where the main form of puzzle is choosing dialog. I don't have much experience with this genre of games, in fact this series is basically the only ones I've played. 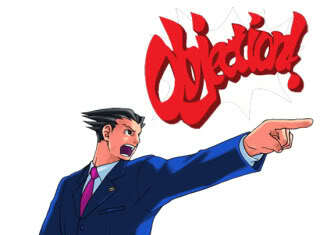 Even then, I've only played the core part of the series the Phoenix Wright trilogy. From the little bit of research I did, it seems that Ace Attorney is a bit more like an adventure game in that there are many puzzles other than choosing dialog. The idea is that a visual novel will make up for its reduced emphasis on traditional video game design to tell a more compelling story. Again, I haven't played much, but I expect that the quality of the stories varies wildly. In essence, these are murder mystery stories where you are cast in the role of the great detective yourself. If you've seen or read Perry Mason, you'll find the basic goals familiar. You have the clues, you have to solve the case and you have to force the killer into a dramatic courtroom confession. This participation, a fact unique to its video game format, is what sets the series apart. Well, that and its off the wall humor. The legal system in the game is vaguely based on the Japanese legal system (very judge oriented, confessions by the defendant aren't compelling, prosecutors take even the concept of losing a case to be a personal insult, etc.) and beyond that fairly absurd. I'd like to read a lawyer's comments, but what I'd really like to read is a philosopher of law talk about the series. 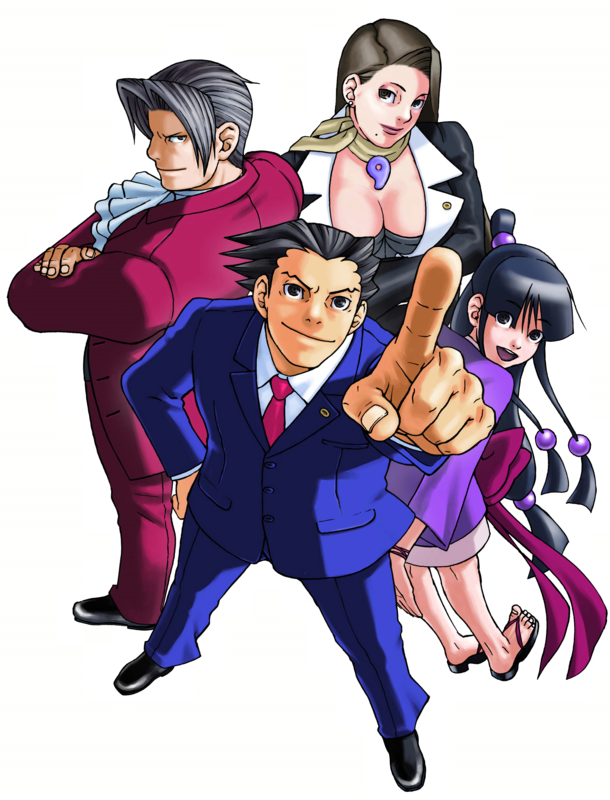 The reason is that a good lawyer has a lot of knowledge of one kind of law, just like a good surgeon has a knowledge of one species, but a philosopher of law would be better to comment on an arbitrary legal system - and the legal system of the Ace Attorney series is often very arbitrary! Being a series of stories about murder, betrayal, decade long schemes, endless lies, corruption at high levels of government and innumerable small ills that accompany the big ones, the series is mostly a comedy. The characters are as over-the-top and broadly drawn as anything Dickens wrote. David Simon once said "Murderers lie because they have to; witnesses and other participants lie because they think they have to; everyone else lies for the sheer joy of it...". And so it is, everybody is filled with secrets, sometimes things embarrassing only to them and sometimes issues that are more comprehensible. One murder involved a low rent tokusatsu studio. One young fan refused to tell what he saw because he was traumatized. Not by seeing a murder, but because he thinks he saw his favorite hero be defeated! Truly we live in trying times. Another recurring element in the series is mysticism. 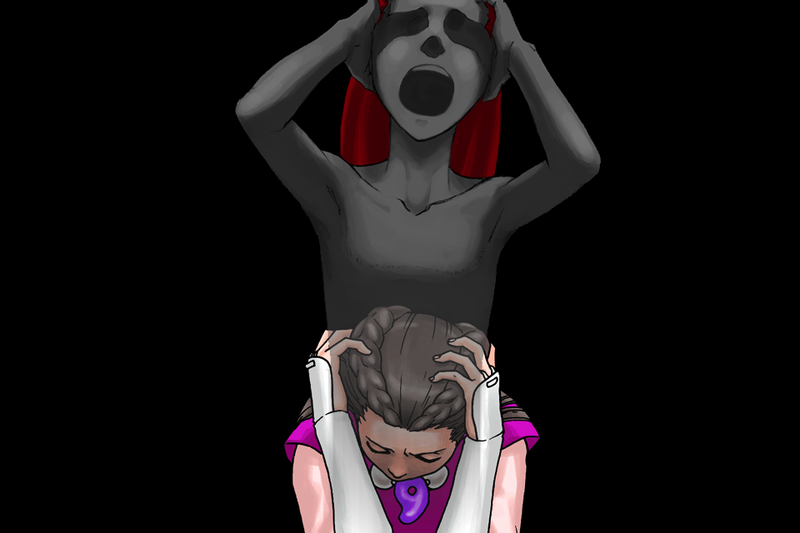 Not dark, esoteric lore like Eric Voeglin or more intellectual fare like the Shin Megami Tensei series. Possession and spirit channeling are major elements of the series. This seems to be a trademark of producer and man in charge Shu Takumi, since he also made the excellent puzzle game Ghost Trick which is about ... well, ghosts. If this bugs you, then so it goes. Complaints, I have a few. The series is sometimes too linear. Many of the times I've failed to present evidence it was because there are two problems with testimony and I was going to present them in the wrong order. The series doesn't have a lot of replay value, especially since you'll spend time asking everybody everything the first run through. Well, anyway, back to work - this time for real! Personal Note: Posts full of dull pictures of scientists streak broken! Now I will be less self-conscious.